One metaphor I use to describe what a marketing strategy is (and how I work) is a small business onion. The core of your business is the answer to the question: WHO are your prospects and WHY they should care about you. Simply saying, “I want everyone who wants to buy my product/services to know about me” isn’t good enough. You have to be very specific to create the core of your marketing effort. You build your marketing onion through words (copy) and images (graphics) that both appeal to your targeted market and reinforce your core marketing message. You highlight what makes your business unique, and how you compare with your competition. At all layers in the onion your contact information is prominently featured, to make it easy for people to stop peeling and starting dialoging with you. The outermost layer of your marketing onion is your business name and tagline. That’s the first thing that people see about your business. If you craft it well, then they want to find out more, peeling away layers of your marketing onion until either they realize they need your offering or deciding that it’s not for them. 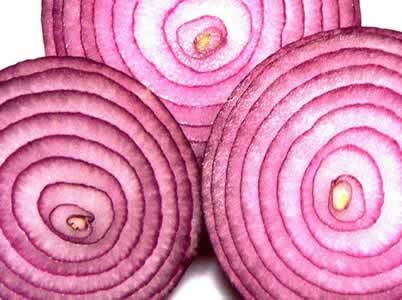 A great marketing onion looks great, is juicy, and is easily understood. Extraneous information isn’t added (but is available when people want more details). If you need to develop your marketing onion (or evaluate what you have), contact me. I’d love to help you develop a strong business model for long-term success.